Read an interesting article that highlights some nutrition choices for those with diabetes. House call doctors get a chance to peek into the refrigerator and see what your real diet looks like…and craft effective care plans accordingly. At least the Resurgia House Call Clinicians do. This article has some great information about diabetic diets…especially useful as we approach the holiday. Thanks for sharing. We hope to be able to keep sharing relevant and useful information across many topics. 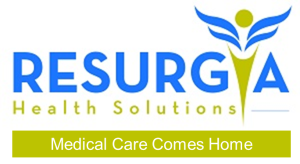 We are happy that we can offer medical house calls in Atlanta Georgia, and surrounding counties that makes healthy living and aging gracefully in your own home an easier goal to achieve. Please share our services with your friends and have them visit / call us to learn more. https://www.resurgia.com or 1-84House-Doc.